Without a doubt, A Cinderella Story is a highly acclaimed teen rom-com movie that is worth all giggles and tears. This modern fairy tale starred by Hilary Duff and Chad Michael Murray gives lots of anticipations from hopeless romantics. A feel-good film, the story spins around two Internet pals, living in two different worlds― Austin Ames, a popular high school quarterback and Sam Montgomery, a spirited outcast― who decided to meet during their school’s Halloween dance. Let’s revive some of the movie’s most memorable lines and fall in love with the characters all over again. This 2004 film by Mark Rosman isn’t your traditional romantic story. 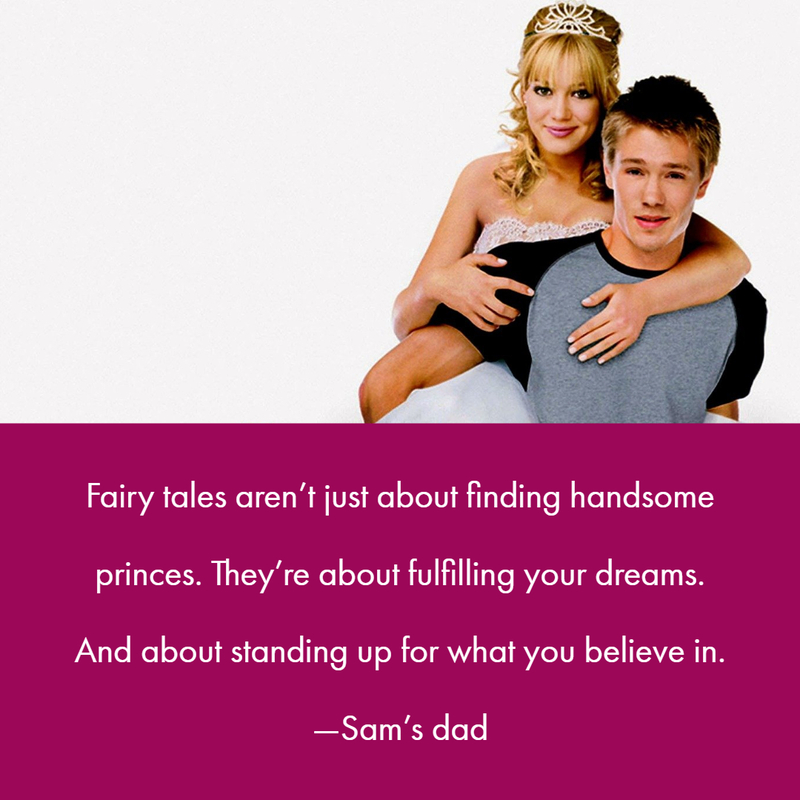 A Cinderella Story provides you with funny twists and adorable scenes that will surely set your teen mode into action. This modern Cinderella story also features lots of sophisticated costumes for every fashion lover. And of course, who wouldn’t fall in love with Austin Ames’ charms and Sam Montgomery’ resilience? The two make such a perfect pair! Their love story started from the virtual setting to the real world. But of course, just like the classic Cinderella, their journey wasn’t all love and happiness because of Sam’s stepmom and two step-sisters.